It’s actually part of our role as set out in law – the Education and Inspection Act 2006 says we must ‘have regard to… views expressed by relevant persons about activities within the Chief Inspector’s remit’. We seek those views from many different groups in different ways – during inspections, through formal consultation and work with partners, at events and discussion groups, and on social media. Today we published new polling with parents in England; it helps us to know if we’re doing our job properly. 95% of parents surveyed know Ofsted inspects schools. 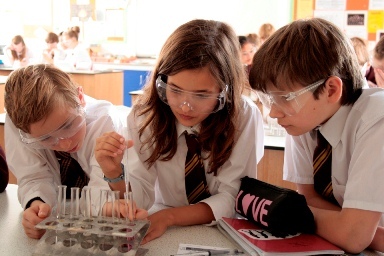 Of those who are aware of Ofsted’s work, 72% think Ofsted provides ‘very reliable’ or ‘reliable’ information, and 88% know the rating their school received at its last inspection. Also, half the parents surveyed had read an Ofsted report in the last year. But awareness of our work is lower amongst people from less affluent social groups and people with education below degree-level and 18% of all parents surveyed have never read an Ofsted report. In 2016, we’ll be working hard to improve these findings – updating and improving our inspection reports website, providing better, clearer information to parents, and working with partners. What do people working in schools know about the new inspection system? I’ve spent the last few months talking about little else than the new common inspection framework (CIF). We also used a poll to check people’s understanding. 95% of heads/principals know about the CIF and 69% of all respondents agreed that short inspections are a ‘positive change’ in the way we inspect. It’s early days, but we’ve more work to do to spell out to professionals what the new arrangements ‘mean for me’, and on short inspections. So we’ll be producing a range of materials in the coming year, and communicating these to different groups. Parents can anonymously review their child’s school on Parent View by answering 12 questions. Headteachers, in particular, have asked me whether we could publish the national-level responses to each question, so we’ve done that today. Parents of children at maintained schools and academies who completed Parent View said that they’d recommend the school to another parent (86%), that the school is ‘well led and managed’ (82%) and that the school ‘deals well with bullying’ (68%). Parents’ answers on Parent View are really helpful for us during inspection, for schools themselves and for other parents choosing schools; we hope publishing this data will help schools increase responses from their parents. Help us get it right for you. That’s a quick summary of what people think about us. We’d like to hear from you too. We want to provide our information in the best way for you. We’re running a survey on what formats and channels professionals prefer. Please take a few minutes to tell us what works for you. My first experience of OFSTED was in 1995. It was a positive, encouraging and supportive experience. In todays terminology we would be called a 'failing school'. With the help and guidance of the OFSTED under the leadership of mike Routledge, we turned things around. The inspection was followed up by intensive support, that was well received by all teachers. So where, when and why did this all change? Such a shame that it did change. Ofsted are interesting. Ive worked with teachers who are absolutely amazing and ofsted have graded them good on the day of inspection. Its much harder if the staff before you got outstanding as the new batch have either got to get outstanding or you are constantly living in the they were better than you shadow. I would value the grade of ofsted, however, its not entirely what people should go on. There is always a hidden curriculum at the end of all ofsted grades (i have witnessed). But I did hear that Good is now the new outstanding due to ofsted raising their bar even more. Lisa - Ofsted doesn’t grade individual lessons, so no comparisons between teachers have to be made. With reference to your points on 'raising the bar’ and ‘good is the new outstanding', you will see in our School Inspection Handbook that our grade descriptors didn’t change that much in September 2015. The Ofsted learner views and inspections are a waste of tax payers money. They are to far removed from reality and never report facts. Bullying is rife throughout the teaching world, staff bullying other staff, more so bullying students is rarely dealt with, leaving students traumatized by their experience. I personally suffered as a student and student tutor from bullying by staff!